The product tanker SW Monaco I collided with general cargo ship Kaan Sonay in Black Sea at Bosphorus Strait entrance. The both ships were proceeding in north course after transiting Bosphorus, but due to crossing routes collided on 2 nautical miles northeast off Rumelifeneri, Turkey. After collision the vessel suffered damages and were anchored off Kumkoy coast. The product tanker SW Monaco I suffered breaches above the waterline and broken railing, while general cargo ship Kaan Sonay lost propulsion power and was towed to the anchorage. Fortunately during the collision there were no injured seamen and no water pollution. The investigation for the root cause is under investigation. The authorities will take witness evidences from the crew of both vessels, but obviously the reason was violation of ColReg rules. The both ships will need of repair and special survey before return in operations. 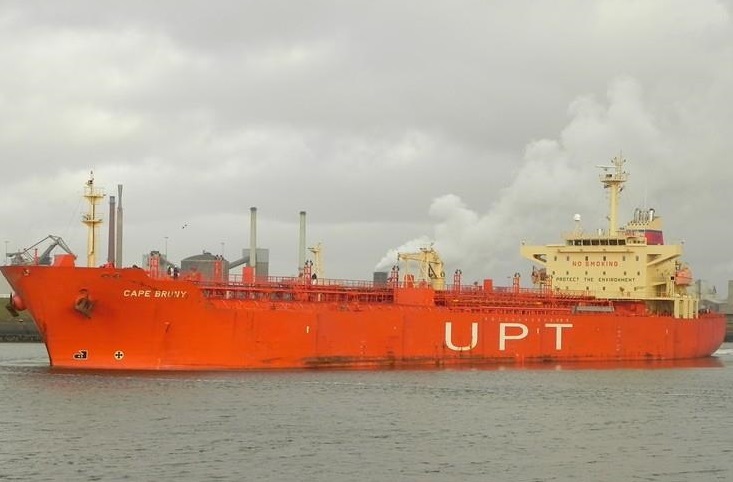 The product tanker SW Monaco I (IMO: 9260275) has overall length of 176.00 m, moulded beam of 32.00 m and maximum draft of 8.00 m. The deadweight of the vessel is 35,110 DWT and the gross tonnage is 25,108 GRT. The product tanker was built in 2004 by Hyundai Mipo Dockyard in Ulsan, South Korea. The owner and operator of the tanker is Columbia Shipmanagement Deutschland. The general cargo ship Kaan Sonay (IMO: 8139302) has overall length of 72.00 m, moulded beam of 9.20 m and maximum draft of 3.50 m. The vessel has deadweight of 1,505 DWT and gross tonnage 856 GRT. The ship is owned and operated by Turkish company Sonay Shipping.